Join us for our annual PTFC Banquet Auction in the Platinum Room, Bendigo Bank Stadium, 17th August 2018. An exciting evening with silent and main auctions. Tickets are $100 and include a pre auction drinks package and a 3 course delicious meal. Dress style is cocktail. Our 2018 auctioneer is none other than TINY HOLLY and our MC is Channel 7's sports guru, MARK READINGS!! Both sure to delight the crowd. 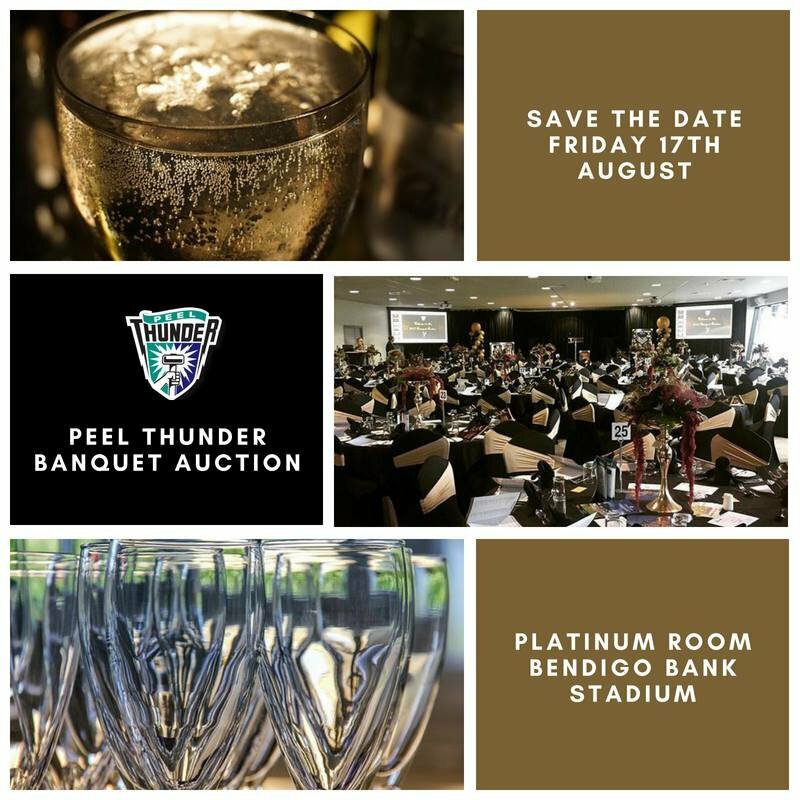 The Peel Thunder Football Club Banquet Auction represents the largest contribution to the club's fundraising for the year with proceeds being directed to our community and football development programs. On behalf of the Peel Thunder Football Club we seek the support of our local/extended community in the donation of goods/services or a voucher to be included in the auctions. This is an excellent promotional opportunity for your business to be aligned with the Peel Thunder Football Club. If you have any questions with regards to attendance or item donations please do not hesitate to contact Paula Barnden at marketing@peelthunder.com.au or 9537 5400. Thank you for your ongoing support, we have a great team and club and we look forward to hearing from you. Thank you to those who have donated so far to the 2018 Banquet Auction!